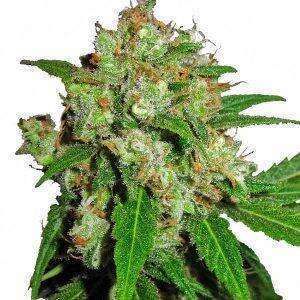 Cream Candy Autoflower is a feminized containing predominantly indica genes. These plants are from the crossbreeding of Cream Caramel with Lowryder. Cream Candy Autoflower seeds are suitable for both indoor and outdoor growing. These plants produce beautiful, thick buds during a short flowering period. The buds have a very nice vanilla flavor. This variety tastes soft and creamy, reminiscent of vanilla ice cream and a delicate aroma with nuances of vanilla and pineapple.